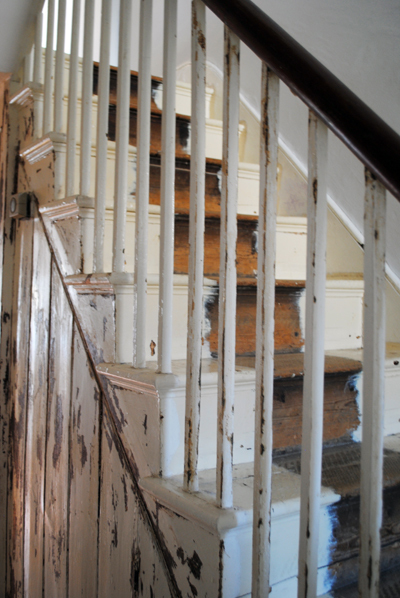 Knowing that this staircase came about from 5 solid days of hard, frustrating physical graft (mine!). There is nothing more pleasant than a hand-waxed handrail to pull you up or help you down - small pleasures. See below for the before (the actual 'before, before' involved filthy carpet and other unpleasantness)and I couldn't bear to photograph it. 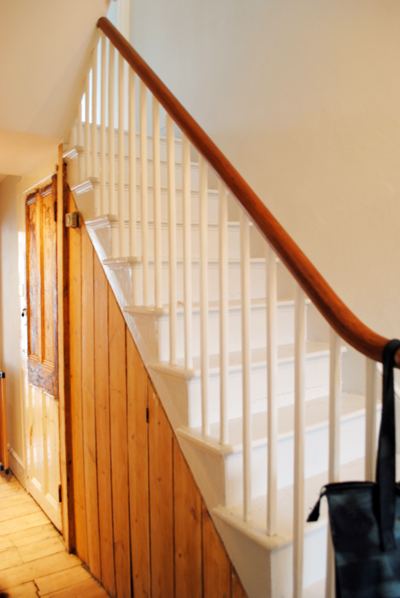 Love your blog and completely agree about the satisfaction of the polished handrail! Shall we talk about the pleasure of a hand made tile? or the quest for a really white sweet pea plant? or good cake?